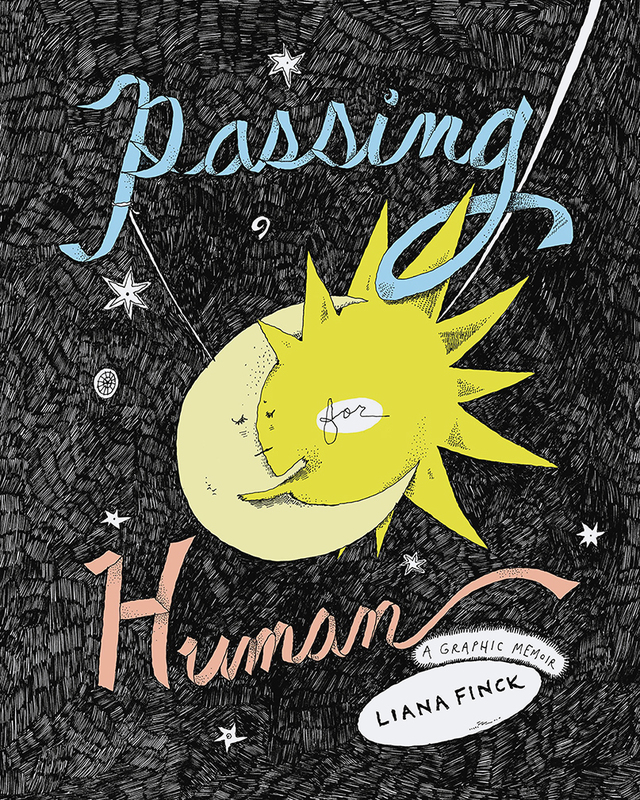 NEW YORK (JTA) – Liana Finck is in a grocery store in Southampton, New York. Once a week, the Brooklyn-based illustrator rides a train to the east end of Long Island to channel her creative energy. She wakes up at 6:30 in the morning to catch that train and stays until the afternoon. Each year she picks a different beach. 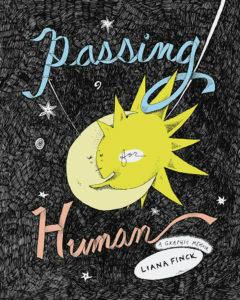 Finck, 32, has risen to fame in recent years through her clever cartoons and illustrated “Dear Pepper” advice column – named after her childhood dog – in The New Yorker. Her drawings, which she also posts on Instagram, poke fun at everyday awkward moments and annoyances, such as trying to get an automatic faucet to turn on and only wanting to hang out with the people who don’t actually want to hang out with you. Her drawing style is simple and disarming. With a few jagged strokes she manages to capture a relatable feeling of discomfort in her character’s faces. Apparently, she has overcome her block. 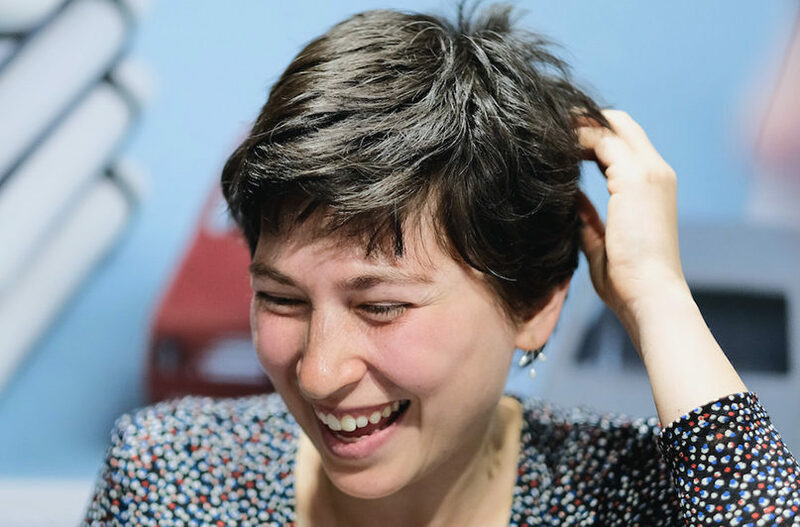 In addition to her frequent work for The New Yorker, Finck is the author, in 2014, of A Bintel Brief: Love and Longing in Old New York, an adaptation of the famed Yiddish advice column that appeared in the Forward. The book dramatizes stories of recent immigrants from Eastern Europe who wrote Forwardeditor Abraham Cahan asking for advice on how to live in their new country. In the book, Finck draws on plenty of Jewish inspiration – ancient and modern. At one point, she retells the biblical creation story, but her version features a female God and devil (who is good rather than evil). Though the Jewish immigration experience isn’t central to Passing for Human,the main character’s great-grandmother is from Russia, but lost her shadow when she moved to the United States. One recent cartoon labeled “default” shows a neutral face, no more than two dots for eyes and a line for a smile. Next to it is the same face, labeled “female,” with long hair and lots of makeup. It’s a comment on the kind of clichéd representations of women in drawing that Finck tries to avoid. A week later, as I start working on this article, I find myself scanning her Instagram wondering if anything I said may have inspired a cartoon. There’s one cartoon in which a woman talks on the phone with a robot – did I come across as too robotic?